A B.C. 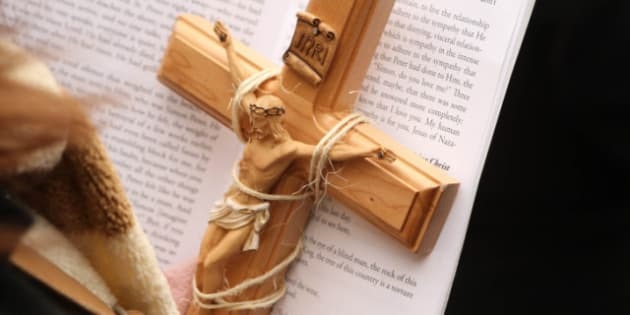 bishop says he has forgiven a man who severely beat him and hopes to meet the assailant if he is released this week from a psychiatric facility. The B.C. Review Board is deciding whether to release John Bandura, was found not criminally responsible in April due to mental illness in connection with his October 2010 attack on Bishop David Monroe. Monroe, 70, said he was trying to help Bandura, 31, who had gone to the bishop’s residence after he’d had an altercation at a Kamloops hospital. Monroe said their meeting suddenly turned violent. Bandura stabbed the clergyman with a pen and severely beat him with a blunt object. "I finally was put down and at one point I felt I could hardly breathe," Monroe said. Monroe spent 55 days in hospital recovering from his injuries. A judge found Bandura not criminally responsible in April and sent the him for treatment at a Port Coquitlam psychiatric facility. This Board is expected to rule this week whether or not to release Bandura into the community and whether that release should be supervised or not. Monroe said he has exchanged letters with Bandura and has no hard feelings towards his attacker. "It should be a very natural thing for us to forgive."